 Manitoba Girls Football Association: List of Dates/Times/Locations of Registration. Registration Dates announced! We may still have one more club joining,(we are awaiting the final details from them) but here are the dates, times, clubs so far! Tues March 24, Wed March 25, and Thurs March 26, 6:30pm-8pm @the Eastside Eagles Clubhouse(723 London Ave). Email HC Jason Park eaglegirlsfb@gmail.com for registration costs. Tues March 24 and Thurs March 26, 6:30-8:30pm @ The St Vital Mustangs Clubhouse. (100 Frobisher Road (Maple Grove Park - St. Mary's Rd. and Perimeter Hwy) Email Lisa Klaverkamp director.finance@mustangsfootball.ca for registration costs. Tues, March 24th, 6-8 pm Edward Schreyer School Library (Beausejour) and Thurs, March 26th 6-8pm, Oakbank Elementary School (Oakbank) Email Tom Walls info@sunrisecoyotes.com for registration costs. Thursday March 26 6-8pm and Sunday March 29 1-3pm @ the Nomads clubhouse 581 Mcphillips street. Email Peter Houzon peterdhouzon@hotmail.com for registration costs. Friday March 27 6-8pm at Stonewall Collegiate and Saturday March 28 from 9-11am at the Selkirk Arena. Email Darren Carr for registration costs darrencarr78@gmail.com. Each club sets it's own registration cost, so please contact them directly for cost. Jr age group(players born 2006-2003) will play 6 man and Sr age group(players born 2002-1999) is planning to move to 9 man, so bring a friend to registration, let's help the league grow! Want to know what club you belong to? see the attached map, if you do not belong to any of the above listed clubs you are free to chose what club to register with. The MGFA will follow the current MMFA catchment map. Catchment Map(Sunrise Coyotes catchment area is Highway 1 in the South, Perimeter Highway in the West to Highway 59, and Highway 44 in the North)(Interlake Interlake Thunder catchment area is Perimeter Highway in the South, the Red River in the East and Highway 6 in the West.) Please note, if you played for a Club in 2014 and now fall into the catchment of Sunrise or Interlake, you are able to register at the same club you played in 2014 or at the new club. The choice is yours.